The new-gen Range Rover Evoque will borrow its design cues from the new Range Rover Velar and the SUV is expected to be unveiled later this year. 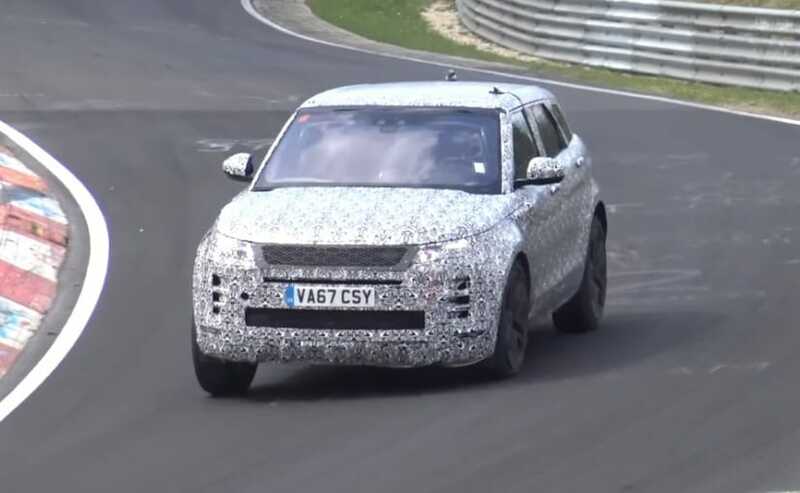 Recently a new video footage of the next-generation Range Rover Evoque at Nurburgring Circuit has surfaced online. 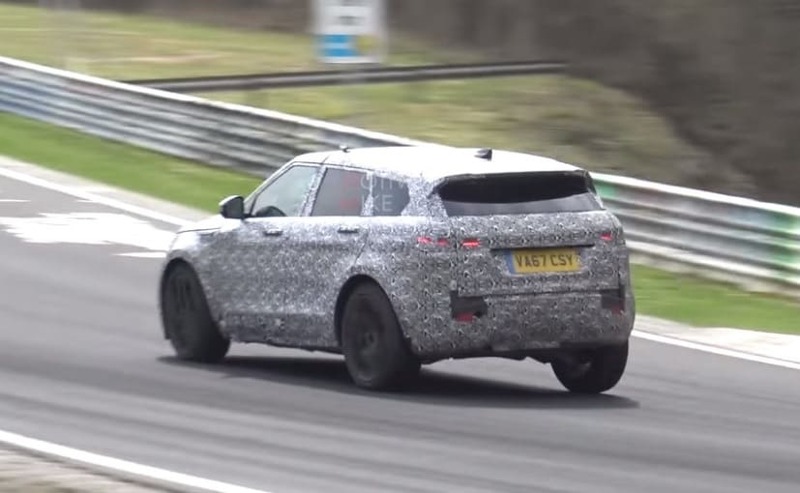 The video shows a heavily camouflaged Range Rover Evoque SUV doing some intense laps around the track, in its new Velar-inspired persona. The license plate confirms that this is the same unit which was spotted testing at Nurburgring, early this year in March, and compared to then, we hardly see in mentionable difference on the prototype model. In fact, the test driver seems to be really pushing the SUV to its limits, before its official debut, which is expected sometime in 2018-end or early 2019. While with all this camouflage, it's hard to comment on the design and styling of the new Range Rover Evoque. Having said that, compared to the prototype model we saw in January this year, this latest test mule does appear to feature a different front bumper with a couple of slats dividing the large air intakes on either end. Up front, the SUV also features sleeker LED headlamps, similar to the Velar, in addition to wearing bolt-on grille, which hides the original design. The SUV is still seen running on a set of black twin-five-spoke alloy wheels. 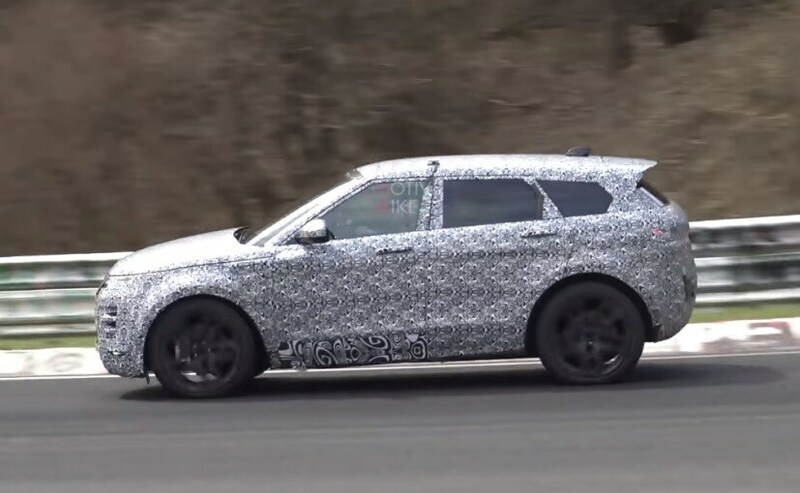 From the sides, we can see the new sloping roofline with a larger spoiler at the back, while the rear portion seems to come with the signature Evoque-like design. The SUV also gets a new wide and sleeker pair of taillamps, a new tailgate and new beefier rear bumper. The new-gen Evoque is expected to be based on an evolved version of the current model's D8 architecture and might also grow a bit in size to offer more cabin space, compensating for the coupe-like roofline. The Range Rover Evoque is expected to retain its powertrains, offering the same range of four-cylinder turbocharged petrol and diesel engines from the Ingenium family. Additionally, the new Range Rover Evoque is also expected to get the first mild hybrid setup, powered by a 1.5-liter Ingenium engine, paired with a compact electric motor backed up by a 48-volt electric system.